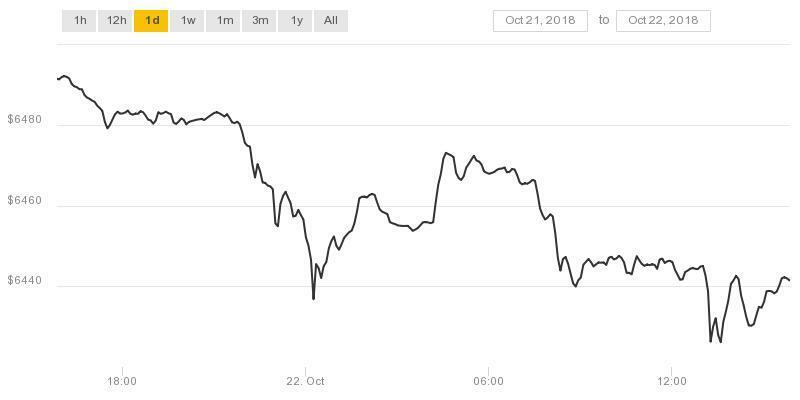 October 22nd: the cryptocurrency markets are down somewhat today, with almost all the major coins showing some slight losses. This comes as the market as a whole has trended slightly downwards during the past 24 hours. Moreover, the total cryptocurrency market capitalization has similarly decreased. At the time of writing, the total market cap is $209.6 billion, which is still comfortably north of the psychologically important $200 billion barrier. 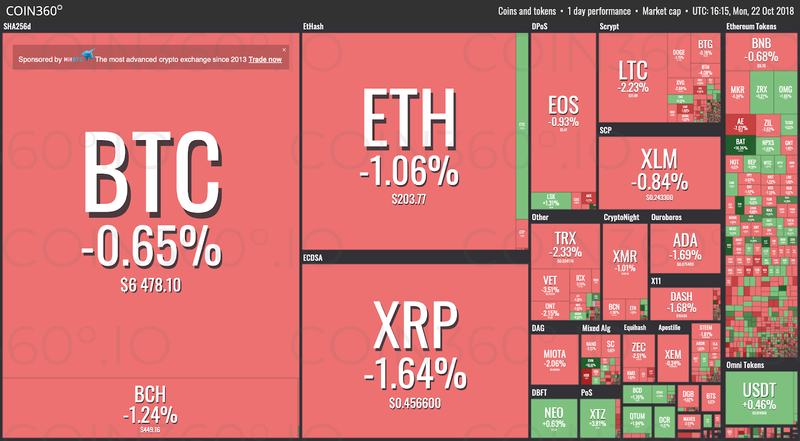 The following market visualization from Coin360 clearly shows the red wave that the cryptocurrency industry is currently experiencing. It should be noted that although the cryptocurrency market has seen both ups and downs during the past month, the total cryptocurrency market capitalization has consistently stayed above the $200 billion line, indicating a robust, market-wide support around this level. Although the total market capitalization has decreased by a relatively meager 0.56% during the past day, the 24-hour trade volume has increased by 11.4% to $10.8 billion. Like most other major coins, Bitcoin is down over the past 24 hours. At the time of writing, the premier cryptocurrency is trading at $6,439.46 – which constitutes a decrease of 0.22% over the past day. 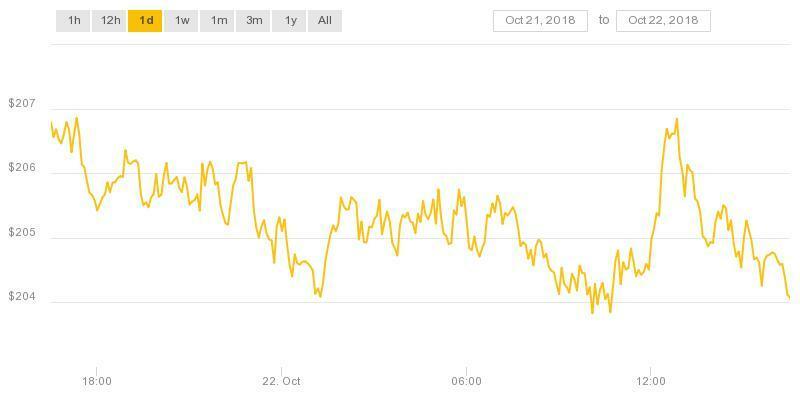 The following chart from CoinDesk shows the price performance of Bitcoin over the past 24 hours. 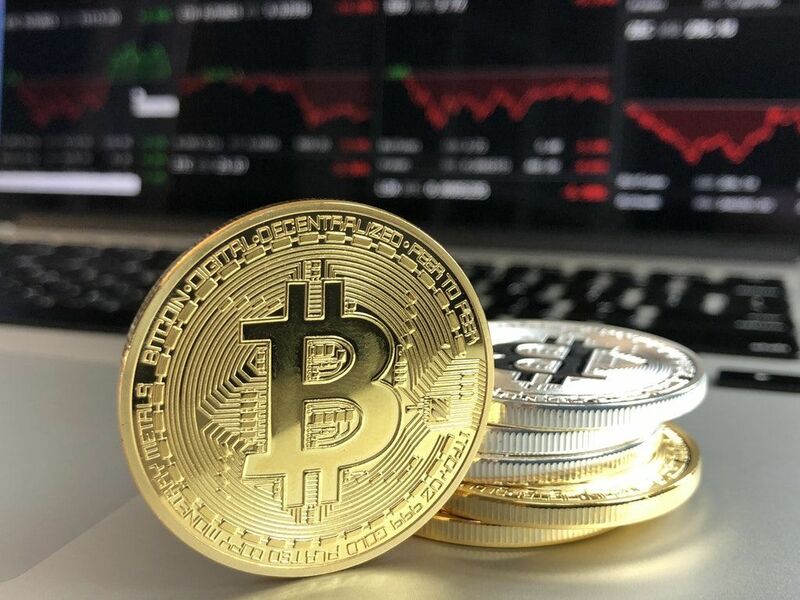 It clearly shows that the cryptocurrency has mainly been trending down, and without displaying any aggressive volatility. Furthermore, Bitcoin is currently trading at roughly the same level as it did one week ago. Ethereum is also down today, currently trading at $204.16. This translates to a slight, albeit notable loss of 0.57%. Even though Ethereum is still trading just barely north of the $200 price line, it has seen significant gains during the past week. In addition to this, the previously attached market chart from CoinDesk shows Ethereum’s intraday performance, which has been volatile but consistently below $207. In other cryptocurrency market developments, Ripple is down 1.59% at the moment of writing, trading at a price level of $0.4566. EOS is similarly in the red, and has decreased by 1.01% to a price of $5.48. Not surprisingly, Litecoin, Stellar and Monero are also down today. Litecoin has lost 2.13% of its price, trading at $52, Lumen has decreased by 1.16% to $0.2443, and Monero has fallen by 0.87% to a price of $106.2. One of the few coins that are in the green is Tether, which has increased by 0.42% to $0.976. It should be noted, however, that this is not reflective of broader market sentiment due to Tether’s nature as a stablecoin.